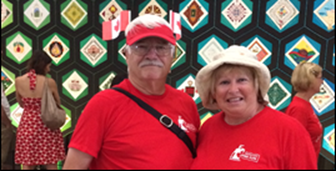 A richly hued portrait of the human family, Quilt of Belonging is a 120 foot (36 metres) long collaborative textile art project. 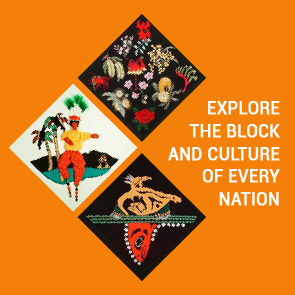 Its 263 blocks portray the rich cultural legacies of all the First Peoples in Canada and every nation of the world at the dawn of the new Millennium. 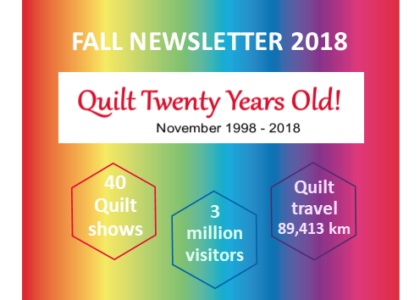 Over 3 million visitors have seen the Quilt while the Quilt of Belonging companion book is in its fifth printing and the 48-minute documentary is receiving rave reviews. This artwork is also used in a variety of projects and education programs, creating an impact nationally and around the world.